The European Tour has the Race to Dubai as their season finale, but in June at the St Andrews Links we held our very own Race to Japan. 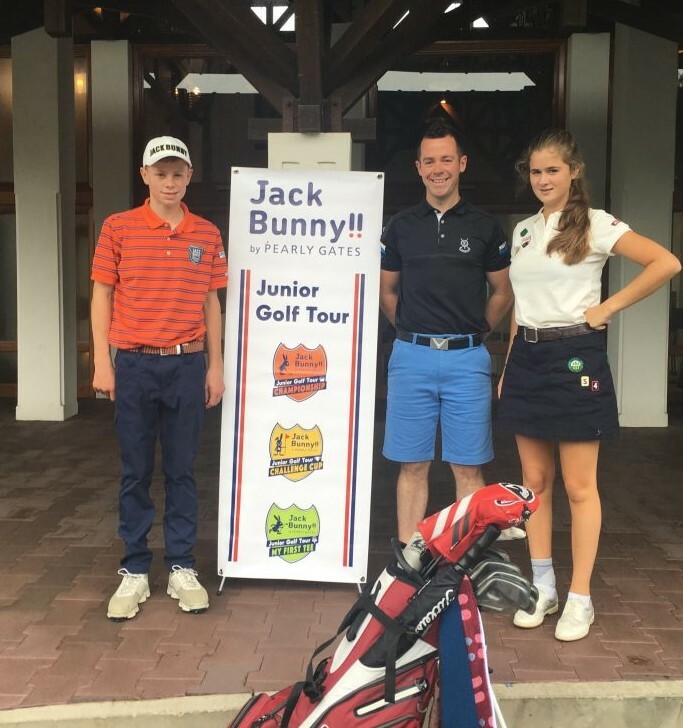 Celebrating a series of annual events across Japan, Jack Bunny Junior Golf Tour offered two lucky students a chance to compete in the National Finals at Higashi Tsukuba Country Club. 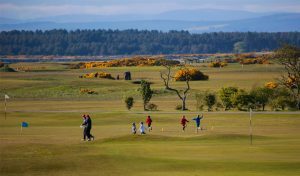 The format of the qualifier was lowest aggregate scratch score from 1 boy and 1 girl played over the Eden and Jubilee courses. 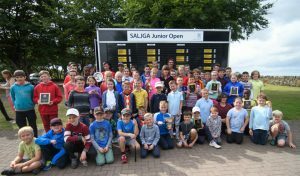 The qualifier was open to members of the SALJGA team and the St Leonard’s school team, so the standard of golf was extremely high. As it turns out, it didn’t disappoint. Ben Caton finished the event off in style with a 4 shot victory beating overnight leader, Pol Berge, to clinch the boys section. Livia Plaumann led from start to finish to win the girl’s section by an incredible 25 strokes, with a very credible 72 (-1) on the Eden Course to finish the event off. Myself, Ben and Livia jetted off on the long journey to Japan, a marathon 28 hours door to door. 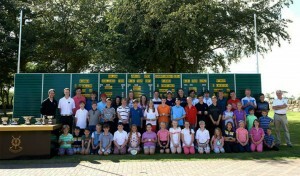 What an experience this was though for the students to compete in an event of this magnitude. It was everything I had expected and more. 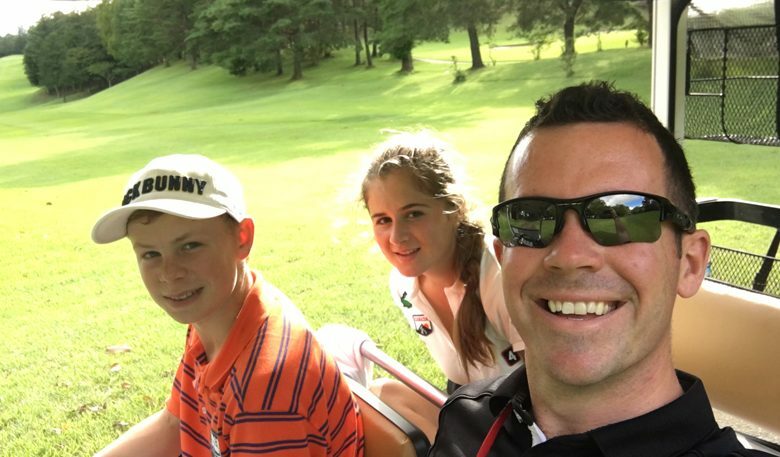 Ben and Livia were the first ever golfers from outside Japan to play in the event, so this made the experience for the two students even more special. 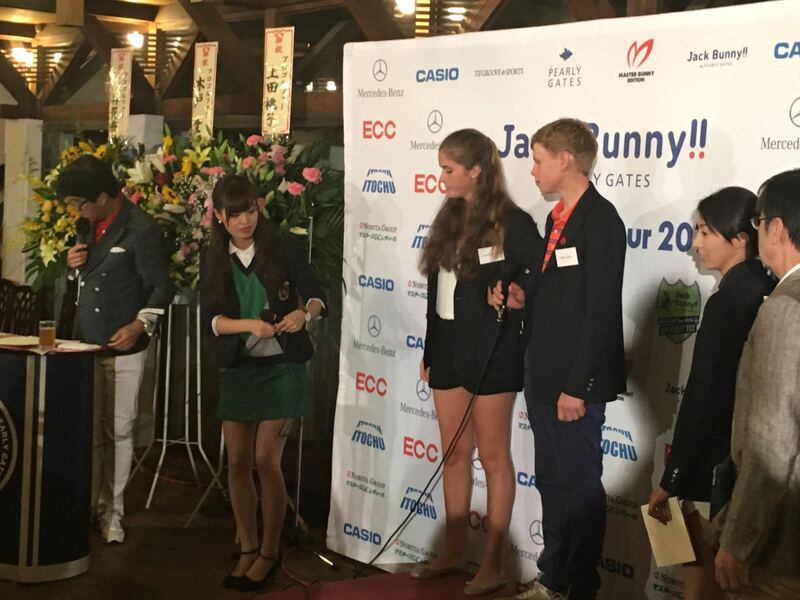 There was a great hype around the arrival of two students from the Home of Golf coming half way around the world to compete in the event. Japanese television interviewed the players at the welcoming ceremony and everyone just wanted to hear about what it is like growing up in St Andrews and getting to play all the courses at the Links. It is easy to take something for granted when it’s on your doorstep, but when you hear from the Japanese golfers that it is one of their dreams to play the Old Course you realise just how special this place is. The golf course was a traditional Japanese course in immaculate condition. The course itself was a long parkland course measuring 7,070 yards from the men’s tees and 6,333 yards from the ladies. We knew that this would prove a difficult task, but I worked with Ben and Livia on their strategy for the golf course and how best to tackle its length and the weather conditions. Day 1 we experienced the aftermath of a typhoon that was in the area, so we knew that these windy conditions would suit our golfers. With strategies in place, both students were well placed after Day 1 with both inside the top 20. What we couldn’t have prepared for was the heat on Day 2. Temperatures of over 35 degrees with severe humidity proved extremely difficult to manage. Plenty of fluids were essential on the way around. Ben and Livia did extremely well in these unfamiliar conditions and finished mid table. They already cannot wait to try and qualify for the event next year. It really was a unique experience. During the trip we experienced a typhoon, a minor earthquake and as mentioned temperatures above 35 degrees, but nothing could take away from this amazing experience for the two kids and for me as their coach. The first class hospitality of the Japanese people and their incredible work ethic is something to be experienced and admired. The structure of Japan’s Junior Program is very impressive and I’m sure we will be seeing a lot of these boys and girls on the big screen in the near future. On a personal note, I would like to thank Jack Bunny for the invitation and for a fantastic experience. Words by Fintan Bonner, St. Andrews Academy Instructor.